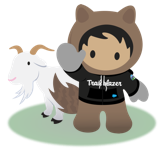 Duplicate Task assignment notification is sent to record owner when ownership is updated through Process builder in Lightning. When saving (State and Country picklist) Billing State Code filter picklist values in Process Builder, the saved value are not retained and automatically changes to something else post save. 'Duplicate' waiting interviews are created by a Process with scheduled actions if an immediate action causes the record to stop meeting the process criteria, and process criteria is subsequently re-met. When Process Builder is set to run on Cases and a large number of records are loaded, the Process Builder can consume a lot of CPU time, even when the imported records don't meet the requirements for the Process to run.